The Ryerson Rams men’s volleyball team were able to comeback from a 2-0 set deficit, defeating the Waterloo Warriors in five sets at Coca-Cola Court on Feb. 8. The victory gives the Rams the series sweep of the Warriors and improves their record to 11-5 on the season. Heading into their matchup, the Rams were unable to carry the momentum from the game before and struggled to get things going against Waterloo. After Ryerson got off to a quick lead, the Warriors would take over and wouldn’t look back after that, pulling away with the opening set by a score of 25-19. The second set would not be any different for the Rams, as they struggled to find their rhythm both offensively and defensively. Waterloo would convert on many of their mistakes and take the second set 25-20, pulling an inch closer to coming away with the victory. Despite the inability to convert their opportunities, the Rams were not phased by the adversity following losing the first two sets. 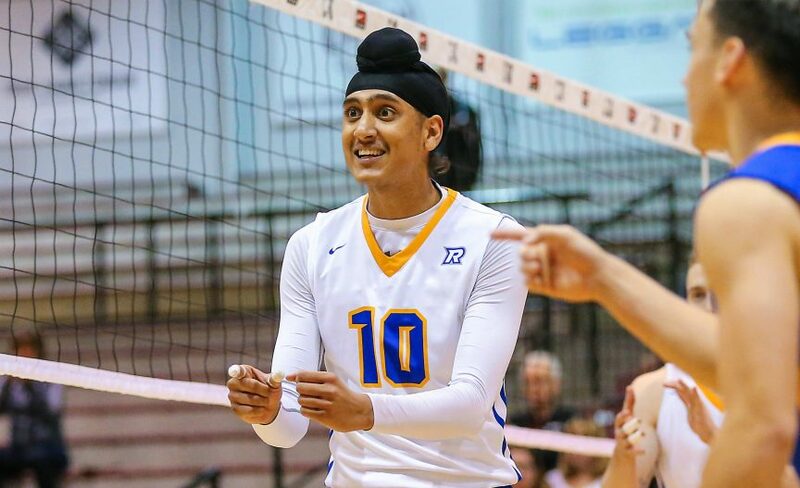 Thanks to the leadership of the Mississauga, Ont., native, the Rams were finally able to wake up from their woes from the beginning of the match and were able to string back-to-back wins (25-23, 25-14) in order to force a fifth and final set. Along with the great defensive play of Suhan, and the all-around performances from first-year stars Xander Ketrzynski and Omari Young, the Rams took home the final set, completing the comeback by a score of 15-9. UP NEXT: The Rams will have little time to rest up following their grueling five-set match against Waterloo, as they will have host the Guelph Gryphons at the Mattamy Athletic Centre on Feb. 9. Game time is scheduled for 8 p.m.